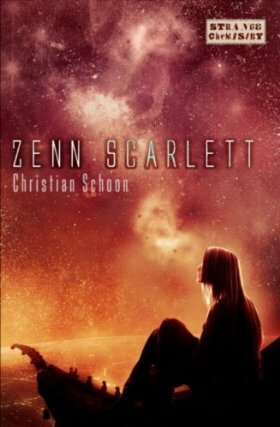 Zenn Scarlett is Christian Schoon’s first novel and the first book in a new young adult science fiction series. It does end on a cliffhanger, and I’m not sure when the sequel will be released. Seventeen-year-old Zenn Scarlett lives on a cloister with her uncle where she is training to become an exoveterinarian. The cloister once flourished, but it is now struggling. While it was once full of aspiring exovets, the number of students has tapered off since the Martian Rift with Earth and Zenn is the only student. Earning money to keep the cloister running is tough since this lack of students limits their earnings to caring for animals, plus the Rift has made it difficult to replace rundown equipment since it’s shut down trade between Earth and Mars. Trade with other planets has become more difficult since the Indras, large creatures that power the starships, have begun disappearing. Furthermore, the townspeople living near the cloister fear the alien animals, and they think both the land and resources that are getting scarcer the longer the Rift continues could be put to better use than helping these animals. As the time nears for the town council to vote on whether or not they will allow the cloister’s lease to continue, Zenn’s uncle is warned that there’s a good chance they will not vote in his favor this time. Learning about the potential fate of the cloister and its animals adds more stress to Zenn’s life. She’s worried about her father, who left the planet and has not been heard from in awhile. She’s also struggling to keep up with both her studies and her duties as a caretaker for the animals, and she has to pass a series of three tests that will determine if she is able to move on to the next level of her training. Recently, Zenn has also begun to experience a strange feeling when caring for an animal, in which she seems to suddenly be in the animal’s mind and able to feel his or her pain. Her first test goes horribly wrong because this happens to her while caring for one of the animals, but when Zenn tries to confide in her uncle about these mysterious occurrences, he just says she’s stressed by her various concerns and imagining this bond because she’s lonely. However, Zenn knows this is too real to be a figment of her imagination, and if it keeps distracting her, the results could be disastrous. Can she remain focused on her studies and pass the next two tests—and even if she does, will there even be a cloister full of animals remaining so she can continue her training? The premise of Zenn Scarlett sounded amazing—a science fiction book about a veterinarian to alien animals. This appealed to me since it made me nostalgic for the books I read as a child about young people and their animals, plus I wanted to be a vet myself growing up. 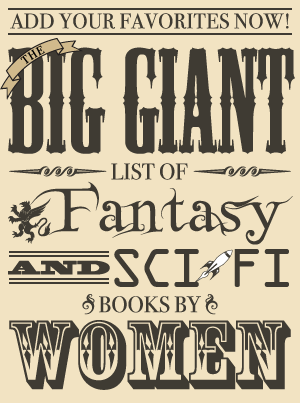 It is a fascinating idea for a science fiction book; however, I thought Zenn Scarlett was not executed very well. It seemed more like the book existed to introduce Zenn’s situation and set events in motion for the next book than to tell a story that stands well on its own. Furthermore, most of the characters did not have a lot of depth and many of them acted nonsensically. While there were a couple of gripping scenes later in the book and Zenn herself had some wonderful qualities, the positive aspects were not enough to make me glad I read this book instead of one of the many others available. Earlier portions of Zenn Scarlett set up some potential storylines, but it does not progress very quickly and contains quite a few infodumps. It introduces the characters, the Rift between Earth and Mars, the townspeople’s fear of the animals, and Zenn’s mysterious and jarring ability to connect with the animals. Mainly, it follows Zenn as she takes her first test and performs her duties taking care of animals. The section before the first chapter about the disappearance of Zenn’s mother is one of a few disparate parts that obviously seems important, but the very end of the book is where the different parts start coming together and taking shape. In general, the pace of the story picks up more toward the end, but the book is also rather hastily concluded. I was quite surprised to see I had so few pages left when a major event happened toward the end that couldn’t possibly be wrapped up in a satisfying way in the number of pages left (and it did not end in a satisfying place). This did remind me a lot of the books about children and animals I read when I was younger, even though many of the animals in this book were not from Earth. It featured a main character whose life revolved around the animals, plus there were the ignorant/evil people who wanted to see the whole operation so important to the main character shut down for good. And, of course, the main protagonist saved the day and played a role in foiling their plans. It did seem as though nearly everyone besides Zenn and the others on the cloister were portrayed as unenlightened people who feared and hated animals. While this does make some sense since groups of people often do join together in fear of the unfamiliar, I prefer to read about complex characters which this book lacked. Some of the younger townspeople did at least have some curiosity, and Liam, a young man from town who helped out at the cloister, was one of the more complex characters in the book. Some seemed as though they could potentially change their minds, but people in general were rather simply presented. Many of the characters fell very clearly on the line as either “educated and enlightened” or “foolish and prejudiced.” The townspeople disliked the alien animals to the point where they turned down free shelter at the cloister when their homes became uninhabitable due to the failure of their local equipment with the lack of trade with Earth. In addition to shallow characterization, there was some rather weak dialogue between characters, especially when one of the “bad” guys was involved. He doesn’t even try to hide the fact that he is rotten and his lines are overdone and cheesy. (Admittedly, the other villain is not the same way, but the depiction of the first villain as heavy-handedly evil still stands.) I also found many of the decisions and actions of people within the book rather questionable. After Zenn’s uncle believes her to be distracted and responsible for some mishaps on the farm, he still entrusts her with a task that is VERY important to the fate of the cloister. Some conflicts are also very quickly and neatly resolved with several people very suddenly deciding they were wrong (which I found especially difficult to believe). The main character, Zenn, was likable with some great qualities. I admired her since she’s willing to work hard to make her dream of becoming an exovet happen. Zenn understands that fulfilling her dream means studying hard and isn’t afraid to dig in and get her hands dirty. She loves her animals, and she does make sacrifices to help them. While I appreciated her determination and work ethic, I did find Zenn to be somewhat numb for someone who is supposed to be very smart. Much of this boils down to the fact that Zenn seems to be utterly fearless to the point of stupidity. Even this probably wouldn’t have bothered me too much, except that she also came up with a theory that she had no evidence for whatsoever at the worst possible time. After being blamed for a few occurrences that went wrong on the cloister due to negligence, Zenn comes to the conclusion that there is no conceivable way she made any of these mistakes—right after she makes one of the very mistakes she now vehemently believes she did not! She does acknowledge the fact that this is a bit strange when it is pointed out to her by the one who noticed her mistake in the first place, but that didn’t change the fact that this was an odd time to become convinced of her innocence. Despite my issues with it, there were times that Zenn Scarlett was entertaining and even had some intensely exciting scenes, especially closer to the end. I also enjoyed reading about some of the animals, and it did make me wish for a pet like Zenn’s rikkaset Katie, a creature that could both communicate via sign language and disappear from sight by blending with her surroundings. It was also refreshing to read a young adult book that had a budding romance but also kept that relationship fairly low key. Zenn did occasionally think about the boy she was beginning to like, but her every waking thought was not centered around him. She had her own goals, and she spent most of her time pursuing them. Zenn Scarlett is based on a great concept, but the lack of complexity or subtlety, bland writing and characters, and some awkward and cheesy dialogue kept me from truly enjoying it despite some positive qualities. Zenn herself is an admirable heroine, but she’s also frustrating since her capabilities are counterbalanced by some moments of foolishness. In addition, this book mainly seems to be setting up the next in the series, only to come to an abrupt halt just when the plot threads finally seem to be coming together and the main story seems about to begin. Where I got my reading copy: Review copy from the publisher after being contacted about reviewing it by the author.